After much hesitation, the emperor Augustus decided in 4 B.C. to divide King Herod‘s kingdom among his three surviving sons, as Herod had advised him to do before his death. Archelaus, the son of Malthace the Samaritan, was appointed ethnarch (“ruler of the nation”) over Judea, Idumea, and Samaria. The cities of Caesarea and Sebaste were included in his domain, which included Jews and non-Jews in about equal proportions. 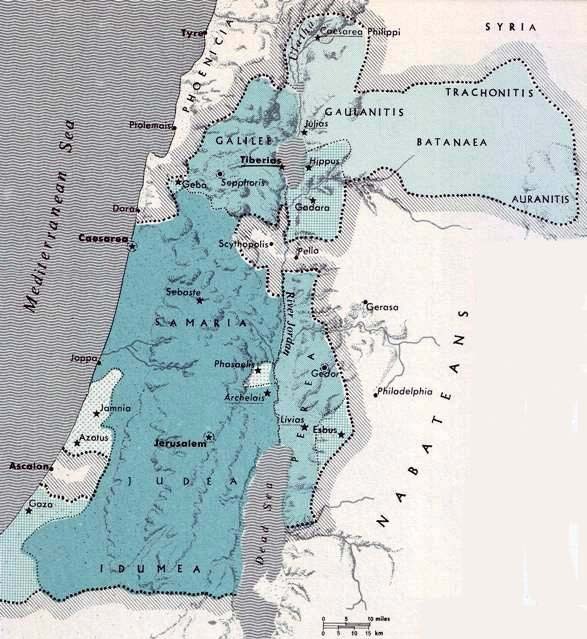 Herod Antipas, the second son, received two purely Jewish, but widely separated, areas: Galilee (where Jesus of Nazareth spent a large part of his life) and Perea (Jewish Transjordan). The third son. Herod Philip, was endowed with the newly settled lands of the Gaulanitis, Batanea, Trachonitis and Auranitis, as well as Caesarea Panias. Most of his subjects were probably non-Jews, but as the Jews in his lands had been settled by Herod the Great, they were loyal to the dynasty. 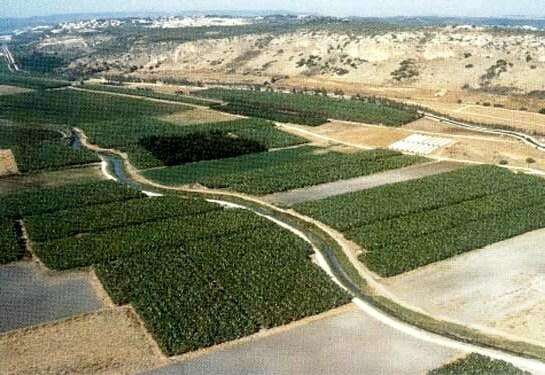 Salome, Herod‘s sister, got Jamnia and Azotus, and Phasaelis in the Jordan valley. 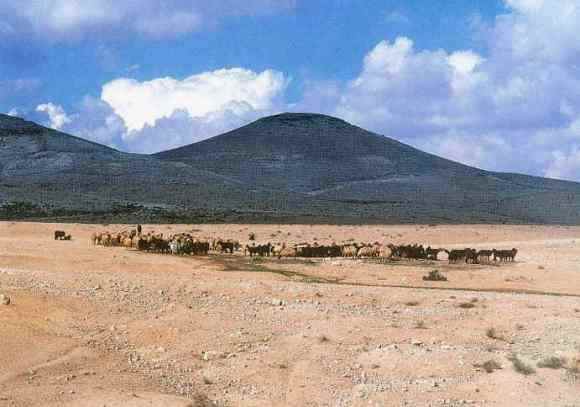 The cities of Gaza, Gadara, and Hippus, which had seethed with rebellion under Herod’s rule, were attached to the province of Syria. All of Herod’s sons tried to imitate their father in building cities; Archelaus even called a new settlement in his own name: Archelais. 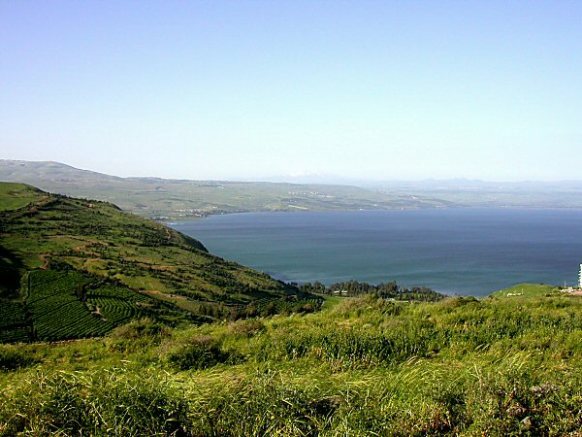 Antipas built Tiberias (named in honor of the emperor Tiberius) and Livias (in honor of the emperor’s mother). Philip added to Caesarea Panias, which was from this time called Caesarea Philippi, and built Julias (also in honor of Livia) near Bethsaida. Archelaus had a short and turbulent reign and was banished in 6AD, his lands being handed over to a Roman procurator. Herod Antipas remained till 39 A.D. Only Philip died in possession of his tetrarchy, in 34 AD.